Ohh the endless possibilities with makeup ... from color to colorless, from pale to bronze, from streamlined to sculpted. 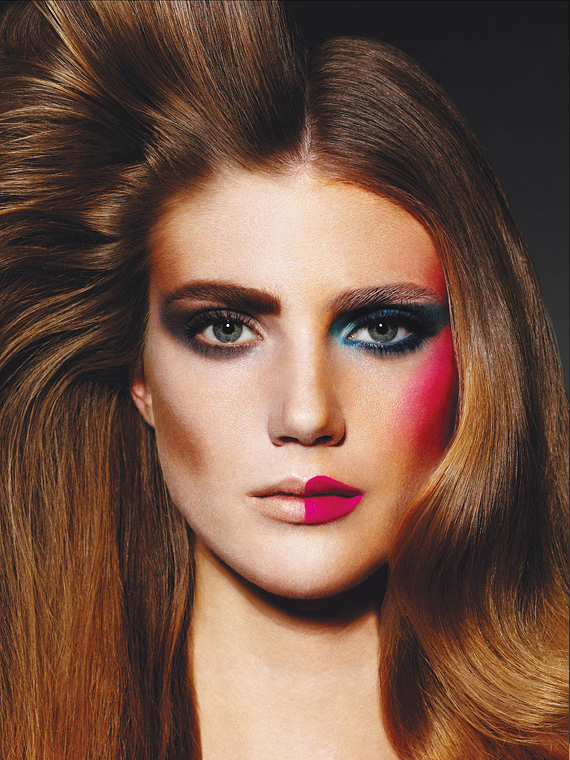 James Kaliardos is one of the hottest international makeup artists working today and in the new V72 Magazine The Transformation Issue (on newsstands now) he shows us why. I just love his transformations of model Lindsay Lullman into a series of dual-faced beauties, capturing the spirit of the makeover and showing just how to take your look to any extreme. Click here to view the full story.